VA entitlement is the dollar amount VA will guarantee to every eligible veteran to buy or build a home. Your basic entitlement is $36,000. This basically is the amount VA guarantees to any lender that in the event the veteran defaults in his/her mortgage loans payments VA will pay the lender up to that much. 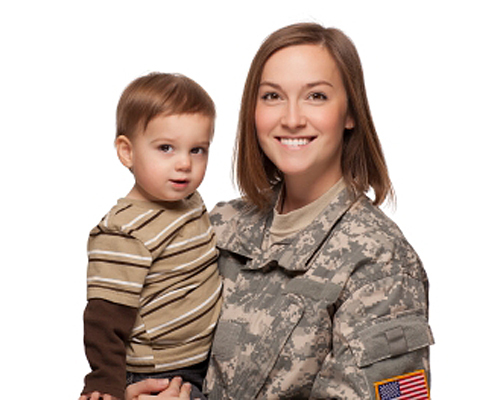 will determine the maximum loan amount each qualified veteran with full entitlement may be able to borrow without been required to make a down payment. By and large what lenders will do is multiply the veteran’s loan guarantee by four: 4 x $36,000 = $144,000 - which will allow you to purchase or build a home up to the amount with zero down payment! That is sweet! Really sweet! I live in the great state of Georgia where that $144,000 buy you a very nice home: I am proud to tell you that not long ago I was the chosen to represent a veteran in purchasing his first home – and he had the exact amount to work with. “Do not over stretch your finances;"
So this vet and I established early on that we were to be looking for a home below $130K. Due to “multiple offers” price war – ended up costing him another $10 grand. In any case VA entitlement that in many areas of the nation that amount that will allow a veteran purchase a great home in Atlanta, GA will not go far enough. Additional entitlement up to an amount equal to 25 percent of the loan value for a single family home may be available. VA takes in consideration the home values of the county where the veteran is planning hi/her home buying. All veterans looking to apply for VA loans eligibility must first to have a Certificate of Eligibility (COE) from the Veterans Administration. The COE will prove eligibility as well as it will include the maximum of guarantee given under to your VA entitlement.